Hypergiant is an OpenGL-based library for games and other interactive media applications written in CHICKEN Scheme. Its philosophy is that it should be easy to efficiently perform common operations, but it shouldn’t be hard to do anything else. Hypergiant is therefore not a framework or an engine, and doesn’t force you into any one mode of operation. Rather it’s role is to act as a glue between other graphics libraries. The goal of Hypergiant is to make it as easy to perform simple tasks as something like LÖVE 2D or CHICKEN’s own doodle (except with Hypergiant, working in 3D is just as easy as working in 2D), while keeping the full power of OpenGL available – essentially making it possible to go from prototype to polished project with the same library. Hypergiant should run on anything that supports OpenGL (including ES). Note that this is an early release of Hypergiant. Some features that you might expect are missing, but there is more to come. Feel free to pass feature requests my way, though. Or better yet: patches! Hypergiant acts as a glue between Hyperscene and glls. These two libraries were designed to work well together, making it possible to render an entire application in pure C, despite using Scheme to define the bulk of (if not all of) the rendering tasks. Hypergiant removes the boiler-plate required to use these libraries together. Take care with using any of the functions from these libraries that aren’t exported by Hypergiant (including glfw3). This probably means that you need to understand how those functions will interact with Hypergiant before you use them. Hypergiant is designed to work either compiled or interpreted. When interpreted with csi, Hypergiant frees up the REPL so that commands can still be entered, allowing for live-coding. This is reported to not work when the readline egg is active, although it works fine with parley. Hypergiant is designed to work by default with OpenGL 3.3 and GLSL version 330 (and version 2 and 120, respectively for OpenGL ES). This is a relatively old standard, and even older hardware should have drivers available that support this. You can still use any versions you want by passing context-version arguments to start, although the pre-defined pipelines and shaders are stuck at their current versions for now. If you have any issues with this, let me know and we can try to work something out. Start the main body of the program, creating a new window with dimensions WIDTH and HEIGHT, and the given TITLE. INIT may be a function of zero arguments that will be called during the initialization sequence, after all libraries are initialized, but before the main loop. UPDATE may be a function of one argument (delta: the time that passed between the current update and the last one) that is called once per frame before scenes are updated and rendered. PRE-RENDER and POST-RENDER may be functions of zero arguments that perform some action immediately before and after render-cameras is called, respectively. CLEANUP may be a function of zero arguments which is called before the window is closed. WINDOW-HINTS accepts the same keyword arguments as make-window. Ends the main loop and closes the windowing, triggering any cleanup that was passed to start. Return the size of the window as two values: width and height. Return the size of the framebufffer as two values: width and height. Return the time, in seconds, that has elapsed since start was called. Return the current frame-rate, averaged over a number of frames. If rendering the frame rate, consider using update-string-mesh!. Returns the (X Y) position (as values) of the upper left corner of the window, in screen coordinates. Sets the position of the upper left corner of the window, to (X Y) in screen coordinates. Sets the contents of the clipboard to STRING. Input is managed by bindings: sets of keys and the actions that they are supposed to trigger. Different input methods use separate stacks for tracking which bindings are current. Bindings are represented as lists of binding records. Most standard English keyboard keys are named after a code that looks like +key-***+. Alpha and numeric keys are named based on their character, such as +key-a+ and +key-1+, with special keys being named based on the following descriptors (e.g. +key-up+): up, down, left, right, delete, space, backspace, tab, enter, escape, slash, backslash, period, comma, apostrophe, minus, equal, semicolon, grave-accent, right-bracket, left-bracket, insert, end, home, page-down, page-up, right-super, right-alt, right-control, right-shift, left-super, left-alt, left-control, left-shift, pause, print-screen, num-lock, scroll-lock, caps-lock, last, menu, world-2, and world-1. F keys f1 through f25 are defined, as are keypad keys kp-0 through kp-9, kp-equal, kp-enter, kp-add, kp-subtract, kp-multiply, kp-divide, and kp-decimal. Mouse buttons +mouse-button-middle+, +mouse-button-right+, +mouse-button-left+, +mouse-button-last+, and +mouse-button-1+ through +mouse-button-8+ are also defined. The mostly-opaque binding record, which can be created with make-binding or make-bindings. List of binding records, are collectively referred to as bindings. Create a binding with the identifier ID for the key (or button) KEY. ID may be any sort of object that can be compared with equal?, that should be unique for a collection of bindings. SCANCODE? is a boolean (defaulting to #f) that indicates whether KEY is a scancode or not (a scancode is a system+hardware-specific integer that corresponds to a particular key). MODS is a list of modifiers that must be held at the same time as the KEY for the action to take place, and may be a list containing any or all of +mod-super+, +mod-alt+, +mod-control+, and +mod-shift+. PRESS is a zero element function that is activated on a press event. RELEASE is a zero element function that is activated on a release event. TOGGLE and REVERSE-TOGGLE expect a parameter that must be an integer. TOGGLE indicates that when the key (plus mods) is pressed, the parameter should be incremented, and decremented when released. REVERSE-TOGGLE indicates the opposite. If TOGGLE or REVERSE-TOGGLE are specified, PRESS and RELEASE will be ignored, and only one of TOGGLE or REVERSE-TOGGLE may be used for a binding. TOGGLE and REVERSE-TOGGLE are useful when two keys are used to perform a continuous action (that may be negated). The game’s update loop should check the parameter passed to the toggle binding to see what action should be performed. For instance, if a parameter move is defined as 0, and set as a toggle when the right key is pressed and reverse-toggle when the left key is pressed, the movement of a character for a given frame can be determined by multiplying (move) by the character’s movement speed. Return true when passed a binding record. Return the value of the ID of the given binding. Create a list of bindings. BINDING-LIST should be a list of (ID KEY [scancode? : SCANCODE?] [mods: MODS] [press: PRESS] [release: RELEASE] [toggle: TOGGLE] [reverse-toggle: REVERSE-TOGGLE]) lists. These lists should be apply-able to make-binding. Non-destructively modify the list BINDINGS with the new binding. BINDING should be a list that is apply-able to make-binding. Return the binding with the given ID from the list of BINDINGS. Non-destructively modify the list BINDINGS, removing the binding with the given ID. Non-destructively modify the list BINDINGS, replacing the binding with the given ID with the new binding. BINDING should be a list that is apply-able to make-binding. Set the currently active action that will be triggered when a key is pressed, pushing that action onto a stack. BINDINGS may be a list of bindings, in which case those bindings will be obeyed. BINDINGS may also be a function of four arguments – (key scancode action mods) – in which case this function is called when a key press occurs. key is a key code, whereas scancode is the corresponding scancode for the key that was pressed. action is one of +press+, +release+, or +repeat+, and mods is the integer formed by anding together the modifier keys – +mod-super+, +mod-alt+, +mod-control+, and +mod-shift+ – that were pressed at the time of the key event. Return the state of the key bindings to before the last push-key-bindings. This parameter may be set to be a one argument function that is called whenever a unicode character is generated. The function will be called with an integer representing the character. Use this rather than relying on key codes when text input is desired. Note that it is often desirable to have some form of key bindings present even when the char-callback function is set (e.g. pressing escape may exit a text field), but if no other key bindings are desired, an empty list may be passed to push-key-bindings. Set the currently active bindings that will be referenced when a mouse button is pressed, pushing those bindings onto a stack. BINDINGS must be a list of bindings. Return the state of the mouse bindings to before the last push-mouse-bindings. Return the (x y) coordinates of the cursor as values, in pixels, relative to the upper-left of the window (down is the direction of positive Y). Set the position of the cursor on the window to (X Y), in pixels, relative to the upper-left of the window (down is the direction of positive Y). Returns two values: the near and far coordinates ( (x y z) three-element f32vectors) representing the cursor position projected onto the near and far planes of the current-camera-view-projection of CAMERA (see Scenes). A parameter that may be set to a two argument function, which is called when the cursor is moved. The two arguments for the function represent the new x and y coordinates of the cursor, in pixels, relative to the upper-left of the window (down is the direction of positive Y). A parameter that may be set to a two argument function, which is called when the mouse wheel or track-pad is scrolled. The two arguments for the function represent the x and y distance (in pixels) that has been scrolled, respectively. Hypergiant reexports most of Hyperscene except for resize-cameras, since it manages this functionality. resize-cameras is handled by start. add-node, add-light, make-camera, and set-max-lights! are modified as described below. Cameras are automatically resized in Hypergiant so that their projection matrix matches the bounds of the window. A Hyperscene scene that has one orthographic camera, included for UI elements. The camera is always sized to the window and positioned such that its upper left corner is (0 0). The UI scene’s camera is always rendered last. A parameter that contains a list of functions of two arguments, width and height, that are called every time the window is resized. Identical to Hyperscene’s make-camera, except WIDTH and HEIGHT default to the window’s dimensions. Create a new camera associated with the given scene. TYPE must be one of #:ortho or #:perspective for an orthographic or a perspective camera, respectively. STYLE must be one of #:position, #:look-at, #:orbit, or #:first-person. New cameras are automatically activated. NEAR is the near plane of the camera, defaulting to 1. FAR is the far plane of the camera, defaulting to 10000. ANGLE is the view-angle, in degrees, for perspective cameras, defaulting to 70. WIDTH and HEIGHT should be initialized to the size of camera’s viewport. VIEWPORT-WIDTH-RATIO and VIEWPORT-HEIGHT-RATIO scale the camera’s viewport (its view frustum’s near plane) in the width and height direction. The effects of the scaling persist after resize-cameras is called. If STATIC-VIEWPORT? is #t, the camera’s viewport dimensions will be fixed such that they won’t be changed by resize-cameras, although VIEWPORT-WIDTH-RATIO and VIEWPORT-HEIGHT-RATIO still effect the final viewport size. As in Hyperscene, adds a new light to the given PARENT node (or scene) with #f32(r g b) COLOR. INTENSITY is the floating point value associated with the brightness of the light. DIRECTION is an #f32(x y z) vector that indicates the direction that the light is pointing, defaulting to #f32(0 0 0). SPOT-ANGLE indicates the angle in radians that the light is spread over (defaulting to 0, representing a non-spotlight source). A node is returned that can be moved, rotated, and sized like any other node. This function is extended with POSITION, which sets the initial position of the light, and RADIUS, which sets the radius of the light’s bounding sphere. This extension of the Hyperscene function of the same name (along with Hypergiant’s extension of define-pipline) is where the majority of the magic of Hypergiant happens. Unlike its cousin, Hypergiant’s add-node’s PIPELINE argument accepts the special render-pipeline object defined by Hypergiant’s define-pipeline rather than a Hyperscene pipeline. Because of this, Hyperscene pipelines never need to be manually created. When a non-render-pipeline (i.e. a Hyperscene pipeline) is passed to add-node, it acts identically to the Hyperscene version, except with the addition of the POSITION and RADIUS keywords, and DATA and DELETE are keyword arguments. POSITION expects a gl-math point. When POSITION is provided, set-node-position! is called with POSITION after the node is created. RADIUS expects a float. When RADIUS is provided, set-node-bounding-sphere! is called with RADIUS after the node is created. When PIPELINE is a render-pipeline the node data that is created is a glls renderable object. MESH, VAO, MODE, N-ELEMENTS, ELEMENT-TYPE, and OFFSET all function as they do when making a renderable. Additionally, MESH may be passed to add-node when its VAO has not yet been created (i.e. with mesh-make-vao! ), and mesh-make-vao! will be called automatically, influenced by the optional USAGE keyword (defaulting to #:static). DRAW-ARRAYS? is a boolean that indicates whether or not the renderable’s array rendering function should be used (i.e. draw-arrays is used instead of draw-elements). DRAW-ARRAYS? defaults to #t if MESH has no index data, and #f otherwise. add-node accepts other keyword UNIFORM-ARGS, which are used to set the value for each uniform in the pipeline, as required by glls renderable makers. It’s worth noting that when add-node is called with a mesh, no references to that node are kept. Make sure you keep your meshes live, lest they become garbage. add-node, along with define-pipeline does some magic so that things keep working when the program is evaluated (as opposed to compiled), but the end result is that it should Just Work. Accepts arguments identical to glls’ define-pipeline, but additionally defines a render-pipeline object with the name PIPELINE-NAME-render-pipeline. This render-pipeline object should be passed to add-node, and contains all the functions necessary to render the pipeline’s renderables. In other words, this creates managed Hyperscene pipeline objects that you don’t need to worry about. Additional work occurs if you evaluate (i.e. don’t compile) a program that uses define-pipeline. The functions in the Hyperscene pipelines created by define-pipeline correspond to the begin render, render, and end render “fast” functions created by glls. Setting the unique-textures? parameter, to #f (for syntax), if a pipeline is known to use only one texture (for each sampler type), may improve speed. define-alpha-pipeline works the same, but the creates a pipeline that is potentially transparent to some degree. This additional macro is necessary since Hyperscene renders alpha objects at a different stage, in a different order from opaque objects. Since define-pipeline defines multiple objects, this macro exports everything related to each pipeline in PIPELINES, except for the set-SHADER-NAME-renderable-UNIFORM! setters. These must be exported individually. For convenience, Hypergiant provides a number of pipelines and shaders to cover common operations. Don’t forget the each pipeline has a NAME-render-pipeline counterpart that should be used with add-node. All of these pipelines use uniforms that are automatically added by add-node (notably mvp for the model-view-projection matrix). All of these pipelines uses the same attribute naming scheme used by Hypergiant’s geometry generating functions: position for the position vector, color for a three element colour, normal for the normals, and tex-coord for texture coordinates. The uniform tex is used when a sampler is required. A very basic pipeline for shading with a flat colour. A pipeline with a colour associated with each vertex. A pipeline with a 2D texture coordinate associated with each vertex. A pipeline with a 2D texture coordinate associated with each vertex, with possible transparency (i.e. defined with define-alpha-pipeline). A pipeline for use with a single channel alpha texture, such as a texture atlas. The opaque sections are shaded with the given colour. The function make-material can be used to create a vector suitable for passing as the material uniform value. This shader is designed to provided per-fragment multiple-light Phong lighting, in combination with Hyperscene’s lighting extension. It provides a single function used for calculating the fragment colour: light. Given a base, SURFACE-COLOR the resulting colour after lighting is calculated given the fragments’ POSITION and NORMAL (and the uniforms listed above). When using this shader, make sure it is defined with the proper number of lights, N-LIGHTS, that will be used by the lighting extension with the shader. This defaults to 8, but can be set with set-max-lights!. This function replaces set-max-lights!, from Hyperscene. It should be used in the same way. The only difference is that this function selects an appropriate phong-lighting shader based on the number of lights set. The phong-lighting shaders differ in the array size of the uniforms, and an appropriate N value should be used in the uniforms of any pipeline using phong-lighting: the size of each uniform array should be greater than or equal to N and a power of 2 from 8 to 64. Note that this uniform is automatically provided when creating an animated model with add-new-animated-model. This shader function calculates the matrix resulting from taking the given BONE-INDICES and BONE-WEIGHTS and summing the weighted matrices taken from the uniform bone-matrices array. Hypergiant provides numerous functions for generating gl-utils mesh primitives. The attributes of these meshes are all named with the same convention as the pre-defined pipelines: The vertex position, normal, three element colour, and texture coordinate attributes are named position, normal, color, and tex-coord, respectively. Positions and normals are always vec3s, represented as floats in memory, while the type of the other attributes can be controlled with arguments. Create a non-indexed mesh of POINTS. MODE should be a valid argument to mode->gl, defaulting to #:line-strip. Create a rectangular mesh of WIDTH and HEIGHT. If CENTERED? 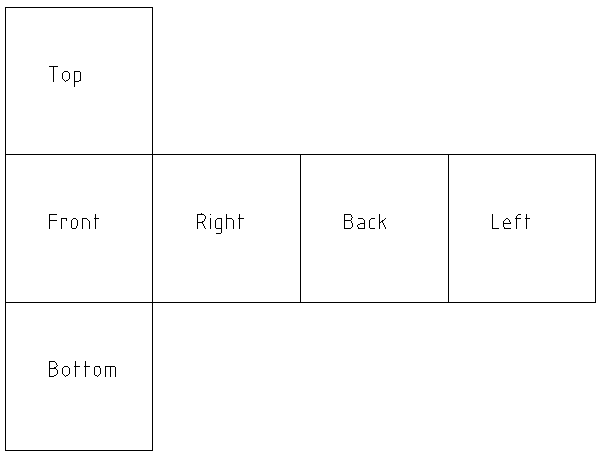 is not #f, the centre of the rectangle with be at the origin, otherwise the bottom left corner will be (default is #t). When both TEXTURE-WIDTH and TEXTURE-HEIGHT are specified, two element texture coordinates are added to the mesh, with TEXTURE-OFFSET representing the upper left corner, defaulting to (0 0). Alternately, TEXTURE may be supplied, which expects a function of one argument: the index of a vertex. This texture function should return a two element list of the texture coordinate at that index. The rectangle mesh vertices are ordered as follows: (upper-left upper-right lower-left lower-right). Likewise, COLOR expects a similar function that accepts one index as an argument, but should return a three element list of colour values. WINDING controls the direction of the vertex winding, either counter-clockwise (#:ccw, the default), or clockwise (#:cw). MODE should be a valid argument to mode->gl, defaulting to #:triangles. TEXTURE-TYPE, COLOUR-TYPE, and INDEX-TYPE control the in-memory type of the texture attribute, the color attribute, and the index, and should be a valid argument to type->gl. These all default to #:ushort. Create a circular mesh with RADIUS and RESOLUTION triangular slices, with the centre of the circle at the origin. When TEXTURE-RADIUS is specified, two element texture coordinates are added to the mesh, with TEXTURE-OFFSET representing the centre of the circle, defaulting to (0.5 0.5). Alternately, TEXTURE may be supplied, which expects a function of one argument: the index of a vertex. This texture function should return a two element list of the texture coordinate at that index. The circle mesh vertices are ordered with the first vertex at (0 0), then moving in a circle starting at (RADIUS 0) and proceeding counter-clockwise for a total of RESOLUTION + 1 vertices. Likewise, COLOR expects a similar function that accepts one index as an argument, but should return a three element list of colour values. WINDING controls the direction of the vertex winding, either counter-clockwise (#:ccw, the default), or clockwise (#:cw). MODE should be a valid argument to mode->gl, defaulting to #:triangles. TEXTURE-TYPE, COLOUR-TYPE, and INDEX-TYPE control the in-memory type of the texture attribute, the color attribute, and the index, and should be a valid argument to type->gl. These all default to #:ushort. Likewise, COLOR expects a similar function that accepts one index as an argument, but should return a three element list of colour values. WINDING controls the direction of the vertex winding, either counter-clockwise (#:ccw, the default), or clockwise (#:cw). MODE should be a valid argument to mode->gl, defaulting to #:triangles. TEXTURE-TYPE, COLOUR-TYPE, and INDEX-TYPE control the in-memory type of the texture attribute, the color attribute, and the index, and should be a valid argument to type->gl. TEXTURE-TYPE defaults to #:float, while COLOUR-TYPE and INDEX-TYPE default to #:ushort. Create a spherical mesh of RADIUS with the centre of the sphere at the origin. Depending on TYPE, the way the sphere is created will differ: #:uv will create a UV sphere – with vertices positioned on longitude/latitude points – #:cube will create a cube sphere – with vertices positioned on a deformed cube. The former is useful for 2D texture mapping, but will necessarily have increasingly large deformation towards the poles, and lower resolution near the equator. The latter is useful for a cube-mapped texture, for minimal deformation. The images below illustrates a UV sphere and cube sphere, respectively. For the UV sphere, RESOLUTION sets the number of longitudinal subdivisions, half of which is the number of latitudinal subdivisions (RESOLUTION must be a factor of 2). Setting both TEXTURE-WIDTH and TEXTURE-HEIGHT for a UV sphere causes 2 element texture coordinates to be added to the mesh, with TEXTURE-OFFSET representing the upper left corner of the texture, defaulting to (0 0). The texture’s upper left corner is mapped to the left side of the sphere, wrapping counter-clockwise such that the left half of the texture corresponds to the front half of the sphere. Alternately, TEXTURE may be supplied, which expects a function of one argument: the index of a vertex. This texture function should return a two element list of the texture coordinate at that index. The cube mesh vertices are ordered as a rectangular array with RESOLUTION + 1 columns and RESOLUTION/2 + 1 rows. The first row corresponds to the “north” pole, while the last corresponds to the “south” pole. The first column has the same position as the last. This array is wrapped counter-clockwise around the sphere, starting on the left. Likewise, COLOR expects a similar function that accepts one index as an argument, but should return a three element list of colour values. For the cube sphere, RESOLUTION sets the number of vertical and horizontal subdivision of each face of the cube. Like the cube mesh, each face of the cube has a unique set of vertices – i.e. no face shares vertices. When CUBE-MAP? is #t, three element texture coordinates are added to the mesh, corresponding to a unit-sphere. Alternately, TEXTURE may be supplied, which expects a function of one argument: the index of a vertex. This texture function should return a three element list of the texture coordinate at that index. The cube mesh vertices are ordered as follows: each face is a rectangular array of RESOLUTION + 1 by RESOLUTION + 1 points, and the faces are ordered (front right back left top bottom), the same as the cube-mesh faces. Likewise, COLOR expects a similar function that accepts one index as an argument, but should return a three element list of colour values. For both types of spheres, when NORMALS? is #t, normals are added to the mesh. WINDING controls the direction of the vertex winding, either counter-clockwise (#:ccw, the default), or clockwise (#:cw). MODE should be a valid argument to mode->gl, defaulting to #:triangles. TEXTURE-TYPE, COLOUR-TYPE, and INDEX-TYPE control the in-memory type of the texture attribute, the color attribute, and the index, and should be a valid argument to type->gl. TEXTURE-TYPE defaults to #:float for cube spheres and #:ushort for UV spheres, while COLOUR-TYPE and INDEX-TYPE default to #:ushort. Create a cylindrical mesh of LENGTH and RADIUS, with the length oriented along the Y-axis, and the centre of the bottom of the cylinder at the origin. VERTICAL-SUBDIVISIONS sets the number of subdivisions along the length of the mesh, while RESOLUTION sets the number of subdivisions along the circumference. Setting both TEXTURE-WIDTH and TEXTURE-HEIGHT causes 2 element texture coordinates to be added to the mesh, with TEXTURE-OFFSET representing the upper left corner of the texture, defaulting to (0 0). The texture’s upper left corner is mapped to the left side of the cylinder, wrapping counter-clockwise such that the left half of the texture corresponds to the front half of the cylinder. Alternately, TEXTURE may be supplied, which expects a function of one argument: the index of a vertex. This texture function should return a two element list of the texture coordinate at that index. The cube mesh vertices are ordered as a rectangular array with RESOLUTION + 1 columns and VERTICAL-SUBDIVISIONS + 1 rows. The first row corresponds to the top of the cylinder pole, while the last corresponds to the bottom. The first column has the same position as the last. This array is wrapped counter-clockwise around the sphere, starting on the left. Likewise, COLOR expects a similar function that accepts one index as an argument, but should return a three element list of colour values. When NORMALS? is #t, normals are added to the mesh. WINDING controls the direction of the vertex winding, either counter-clockwise (#:ccw, the default), or clockwise (#:cw). MODE should be a valid argument to mode->gl, defaulting to #:triangles. TEXTURE-TYPE, COLOUR-TYPE, and INDEX-TYPE control the in-memory type of the texture attribute, the color attribute, and the index, and should be a valid argument to type->gl. TEXTURE-TYPE, COLOUR-TYPE and INDEX-TYPE all default to #:ushort. Hypergiant provides functions that handle the common needs for animated sprites. Such sprites use a sprite sheet – a texture that contains all of the frames of the animation, arranged in a grid. From this texture a sprite-sheet object is created, which is a mesh of rectangles and texture coordinates corresponding to the frames on the texture. Based on these sprite sheets, animations are created, which are essentially a list of frames, in the order that they should be played. A animation may be used with more than one sprite sheet (although, if the frames of each sprite sheet doesn’t correspond to each other, things will probably be weird). Return a mesh, similar to a rectangular mesh, but with multiple rectangles with different texture coordinates. The rectangles will be sized FRAME-WIDTH by FRAME-HEIGHT. If CENTERED? is not #f, the centre of the rectangles with be at the origin, otherwise the bottom left corner will be (default is #t). The texture coordinates will be taken as though the rectangles were arranged in a grid over a texture of dimensions TEX-WIDTH by TEX-HEIGHT, with the number of rows and columns that can fit on these dimensions, unless ROWS or COLUMNS is specified. Offsets to the top left corner of the tiled area of the texture can be provided with X-OFFSET and Y-OFFSET. TEXTURE-TYPE controls the in-memory type of the texture attribute, and should be a valid argument to type->gl, defaulting to #:ushort. The meshes returned by make-sprite-sheet are intended as an argument to make-animated-sprite or add-new-animated-sprite. A single sprite sheet cannot be used with animated sprites with different textures. Consider using mesh-copy if you need an identical sprite sheet. An animation is an opaque type that describes an animation sequence, as given in a sprite sheet. The TYPE may be one of #:once or #:loop, which respectively define animations that are only ever played once, or that loop. FRAMES is a list of integers, that define subsequent frames in the given animation, as ordered in the sprite sheet (or sheets) that is to be associated with the animation (index on the sprite sheet from left to right, top to bottom). FRAME-RATE is the desired speed that the animation should be played at, given in seconds between frames. For a convenient way of defining multiple animations, see make-animation-alist. Return #t if X is an animation object. Takes an alist, ANIMATIONS of (KEY . (TYPE FRAMES [ANIMATION-FRAME-RATE]), where TYPE and FRAMES are as required for make-animation. ANIMATION-FRAME-RATE is an optional argument so long as the keyword argument FRAME-RATE is supplied. Returns an alist of (KEY . ANIMATION) pairs. Create a new animated sprite, using the previously created NODE. BASE-ANIMATION is a (looping) animation that the sprite should use upon initialization. NODE should have been created with a sprite-sheet mesh, and with a corresponding texture. If the pipeline sprite-pipeline will be used for the animated sprite, consider using add-new-animated-sprite, which performs the node creation as well. Return #t if X is an animated sprite object. Returns a new animated sprite object that has been added to the Hyperscene node PARENT. The node for this sprite is created with sprite-pipeline. SPRITE-SHEET is a sprite sheet mesh that has been created with make-sprite-sheet. TEXTURE is the GL texture ID associated with the sprite sheet. BASE-ANIMATION is a (looping) animation that the sprite should use upon initialization. Return the node associated with ANIMATED-SPRITE. Set the ANIMATION that the ANIMATED-SPRITE should be playing. #:once type animations are played once before the last looping animation resumes, while #:loop type animations will loop continuously until another #:loop animation is set. Setting an animation that is already the current animation of the ANIMATED-SPRITE has no effect. Return the animation that the ANIMATED-SPRITE is currently playing. Update the ANIMATED-SPRITE given the time interval DELTA, changing the current frame of the sprite if enough time has elapsed since the last frame. This should be called every frame that the ANIMATED-SPRITE is to be animated. Inter-Quake Models are an open standard for rigged models, with support across a range of tools. Hypergiant supports their loading, and creating meshes and animated models with the resulting IQM objects. Load an IQM record from the given IQM-FILE. For IQM files that only provide an animation, a BASE-IQM is necessary in order to generate a Hypergiant animation object. When load-iqm is called with a BASE-IQM, any animations created are added to the BASE-IQM. The record created by load-iqm. An alist of flags that are recognized by load-iqm. Defaults to (). An alist of vertex-array flags that are recognized by load-iqm. Defaults to (). An alist of animation flags that are recognized by load-iqm. Defaults to ((#:loop . 1)). Create a mesh from the given IQM object, with the provided list of ATTRIBUTES. This creates a mesh using all of the vertices of the IQM. Create a list of mesh for each mesh defined in the given IQM object, with the provided list of ATTRIBUTES. A list of attribute symbols which should be normalized when creating a mesh from an IQM (with iqm->mesh(s)). Defaults to (blend-weights color). Animated models are an opaque object similar to animated sprites, but for rigged models. Animated models are used with the same animation getting and setting functions as animated sprites, i.e. current-animation and set-animation!. Animations suitable for animated models are created when loading IQM files containing animations (which can be referenced with iqm-animations). Extends add-node, returning an animated model object. This function requires the following keyword arguments: MESH, a mesh corresponding to the IQM (made with e.g. iqm->mesh), BASE-ANIMATION the initial animation to use for the animated model. Update the ANIMATED-MODEL given the time interval DELTA, changing the current frame of the model if enough time has elapsed since the last frame, tweening between frames. This should be called every frame that the ANIMATED-MODEL is to be animated. Hypergiant’s particle system is implemented as an extension to Hyperscene. It introduces two concepts: emitters and particles. Emitters are a record that is created when added to a scene (via add-emitter), similar to a node. These records contain a reference to the node that is used to move them around the scene. Emitters also share properties with meshes. A component of the emitter is essentially a mesh where each vertex corresponds to a particle, and the same attribute system is shared with meshes. Emitters are used to “emit” a number of particles. These particles are created and updated via the for-emitter macro. The emitter record returned by add-emitter. Return #t if X is a emitter record. Return the node of EMITTER that can be used to position the emitter in its scene. Do not use delete-node on this node: use delete-emitter on the emitter instead. Return the current number of particles created by EMITTER. Return the maximum number of particles that can be created by EMITTER. Add a new emitter to the node or scene PARENT, returning an emitter record. PIPELINE is the render-pipeline used to render the emitter. where NAME is the attribute name (as a symbol), TYPE is the type of the attribute as accepted by type->gl, N is the number of elements in the attribute, NORMALIZED is a boolean value indicating whether the attribute’s values should be normalized (defaulting to #f). These attributes correspond to the properties of each particle. All emitters are given the attribute (position #:float 3), so ATTRIBUTES is used to define any attributes beyond this default one. N-PARTICLES is a required argument, which defines the maximum number of particles that the emitter may create. POSITION is used to define the initial position of the emitter, while RADIUS is used to define the radius of its bounding sphere. Unlike most nodes, the radius of the bounding sphere of an emitter cannot be meaningfully changed after it is created, so make sure to properly initialize it. As with add-node, UNIFORM-ARGS is the set of other keywords used to set the value for each uniform in the pipeline, as required by the glls renderable makers, specific to the PIPELINE that is used. Delete the EMITTER, removing it from its scene. Iterates through the particles in EMITTER, assigning each one in sequence to the variable PARTICLE-VAR and executing UPDATE. The BEGIN form is used to perform any one-time actions that require the same scope, e.g. adding new particles. Particles added in BEGIN are not processed with UPDATE. ATTRIBUTES is a list of the emitter’s attributes that should have accessors bound. Each attribute has a (ATTRIBUTE-ref PARTICLE) and (ATTRIBUTE-set! PARTICLE VALUE) function bound in the scope to the BEGIN and UPDATE forms, which are used to reference and set the attributes of the given particle. ATTRIBUTE-ref returns an srfi-4 vector of the type and number of the associated attribute, while ATTRIBUTE-set!’s VALUE should be an srfi-4 vector of the type and number of the attribute. Return a pointer representing a new particle from EMITTER. This particle is not initialized in any way, and should be done so using the accessors that are bound in for-emitter. Delete the given PARTICLE from EMITTER. Used to modify an existing string mesh, this is similar to calling string-mesh with the mesh: argument, but additionally updates the NODE’s renderable to properly display the new STRING. MESH should be a mesh that was created with string-mesh. When the mesh’s VAO is created, it must have a non-static usage (i.e. setting add-node’s usage: keyword to #:dynamic or #:stream). NODE is a node associated with that mesh, which must have been created with a render-pipeline. FACE is a font face created with load-face. The number of graphical characters (non-whitespace characters in the char-set of FACE) in STRING must be equal to or less than the number of graphical characters in the string used to create MESH. Creates a mesh similar to those created by string-mesh with space reserved for N-CHARS. Intended to be used with update-string-mesh!. Some color functions are provided for convenience. These are nothing more than f32vectors, which are useful as uniform values. Create a three or four element f32vector with values (R G B [A]). If NON-GC? is set to #t, the color will be located in a non-garbage collected region of memory (so it will not be moved, although it will still be collected when non-accessible). Getters and setters for colors. color-a and set-color-a! can only be used with 4 element (alpha) colors. Set the given COLOR to the values of COLOR2. Two pre-defined RGB colors, with unambiguous names. Return a semi-random floating point value. The values will be generated to fall in a a normal distribution around MEAN, defaulting to 0, with the given VARIANCE, defaulting to 1. Return a random floating point value between -1 and 1. Returns the next power of two for the positive integer n.
Given the number X, return a value that is the same, so long as it is not greater than UPPER or less than LOWER: in these cases, return the upper or lower bound, respectively. The following operate on the 3 element vectors (points) defined in gl-math. Return a point with each element of VECTOR clamped to LOWER and UPPER. vclamp! destructively modifies the original vector. If NON-GC? is #t, the point is created in a non-garbage-collected area (the memory will still be freed when there are no more references to the vector). Return the result of the dividing each element of VECTOR with scalar S. If a vector RESULT is given, it will be modified to contain the result. If RESULT is #t the returned value will be an f32vector located in non-garbage-collected memory (the memory will still be freed when there are no more references to the matrix). If RESULT is not provided, the returned value will be an f32vector located in normal garbage collected memory. Return a point that has had the operation round, floor, ceiling, or truncate performed on each element of VECTOR. If NON-GC? is #t, the point is created in a non-garbage-collected area (the memory will still be freed when there are no more references to the vector). See the examples directory for several examples that use Hypergiant. Prototype to polish: Making games in CHICKEN Scheme with Hypergiant is a blog post that details the creation of a simple game with Hypergiant. Make sure gl-math is up to date before updating Hypergiant. Make sure Hyperscene, soil, glls, and gl-math are up to date before updating Hypergiant. Make sure Hyperscene, soil, glls, gl-utils, noise, and gl-type are up to date before updating Hypergiant.